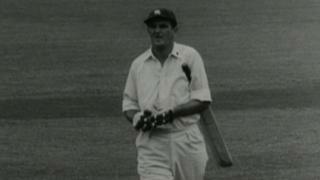 BBC cricket correspondent Jonathan Agnew remembers former England cricketer Tom Graveney, who has died at the age of 88. An elegant batsman, Graveney played 79 Tests for England, scoring 11 centuries at an average of 44.38. He scored more than 47,793 first-class runs - including 122 hundreds - in a career that stretched from 1948 to 1972 and included spells at Gloucestershire, Worcestershire and Queensland. After retiring, he became a BBC commentator and served as the 200th president of the MCC in 2005.